Chail is a happily isolated and laidback hill station in Himachal Pradesh. Surrounded by greenery, this place guarantees a marvellous retreat from the chaotic city life. Situated at a height of 2250 m above sea level, Chail is nothing short of a paradise for hikers and nature lovers. If you are totally exhausted by the demanding city life, this beautiful hill station could prove to be a great escape route for you. A visit to Chail would suit all kinds of travellers, be it a solo traveller, family, kids or couples. Road driving hours: Depending on the traffic conditions, it takes around 8 to 9 hours to reach Chail from Delhi by car. Closest airports: The Jabarhatti airport in Shimla is closest to Chail, located at a distance of 72 km. One can also land at Chandigarh airport, which is located at a distance of 113 km from Chail. From the airport, one can take a bus or a taxi to reach Chail. Closest railway station: Kalka is the nearest railway station, located at a distance of 81 km. From here, one can take a bus or a taxi to reach Chail. It would take around 2 hours to reach Chail from Kalka railway station. Best time of visit: The best time of visit is during the summer months, from April to mid-June. One can also visit Chail in other months, except for the monsoons because Chail experiences heavy rainfalls, which might lead to roadblocks and landslides. Spread across 75 acres of land and located in a prime location, this palace is one of the most famous attractions of Chail. Built in the 18th century by the Maharaja of Patiala, the Chail Palace is an architectural wonder. Ever since it's conversion into a heritage hotel, it has given tourists an opportunity to stay in rooms of the Kings and the Queens. It's a great place to see and to stay on a visit to Chail. An excellent halting spot for travellers with spiritual beliefs, Siddh Baba Ka Mandir's creation has a unique story behind it. Dedicated to Saint Siddh Baba, it's believed that the saint appeared in the dream of Maharaja Bhupinder Singh and told him about his meditation spot. This dream lead to the construction of a temple at a height of 8000 ft from downtown Chail. Looking for some peace? Go, visit this temple. For wildlife lovers, this place can prove to be interesting as Chail Wildlife Sanctuary houses a lot of colourful birds and animals. Located at a height of 7152 ft, Chail Wildlife Sanctuary offers eye-pleasing attractions in terms of scenic beauty as well as wildlife. Over here, one can spot a variety of exotic birds and animals such as the Himalayan black bear, goral, European red deer, flying squirrel, golden eagle and langur. Spotting them may be hard, but trekking in this sanctuary is a fun-filled experience by itself. The cricket ground in Chail has made it to the Guinness World Records. It's the world's highest cricket ground located at an altitude of over 7500 ft above sea level. The army maintains the area, so tourist visits are restricted inside the ground. It's also used as a polo ground during school vacations by students over there. For tourists, the place is worth a visit for the cool breeze and the amazing view. A historic building converted into a small Sikh temple, the Gurudwara Sahib Temple is located very close to the main market. The Gurudwara is at least 108 years old and was built by the late Maharaja of Patiala. It's a nice and a peaceful place to visit for worshippers. Sadhupul Lake is an admirable piece of property in Chail. It's like an ideal hangout spot for tourists. The lake restaurant set up on Sadhupul Lake allows one to dip their legs into the cold water while enjoying the yummy food. The wooden tables and chairs are placed on the river itself. It could prove to be the most unique and wonderful experience for all the foodies out there. From budget hotels to 3-star hotels, the accommodation options are plentiful. 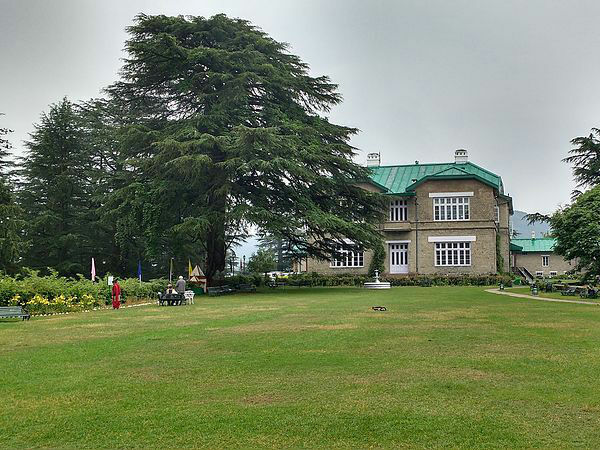 The Chail Palace is a popular choice amongst tourists. A multi-cuisine restaurant with a plush bar, the place offers good hospitality along with a royal feel. Located at Shimla Hills, Hotel Monaal can also be considered by those on a budget. The hotel has wonderful views around it, and it's a decent place to eat out and to stay for tourists visiting Chail. Situated on the main road, the Grand Sunset Hotel is another popular choice amongst visitors. It's close to the Palace and the cricket ground. With good rooms, staff, food, parking space and affordable pricing, this hotel is worth a shot. Woollen garments, jewellery and jams/jellies are the best sellers over here. Kinnauri mufflers, Pashmina shawls, gloves, caps, sweaters, scarves, authentic rugs and other home decor items can be bought as a souvenir on a visit to Chail.